Nationalism, extremism and conservative values create a poisonous cocktail that limits the space for activists to advance women's rights. Kvinna till Kvinna's report "Suffocating the movement - Shrinking space for women's rights" and its Swedish translation "Så tystas en kvinnorörelse" reveal how gender equality and democracy are at risk. 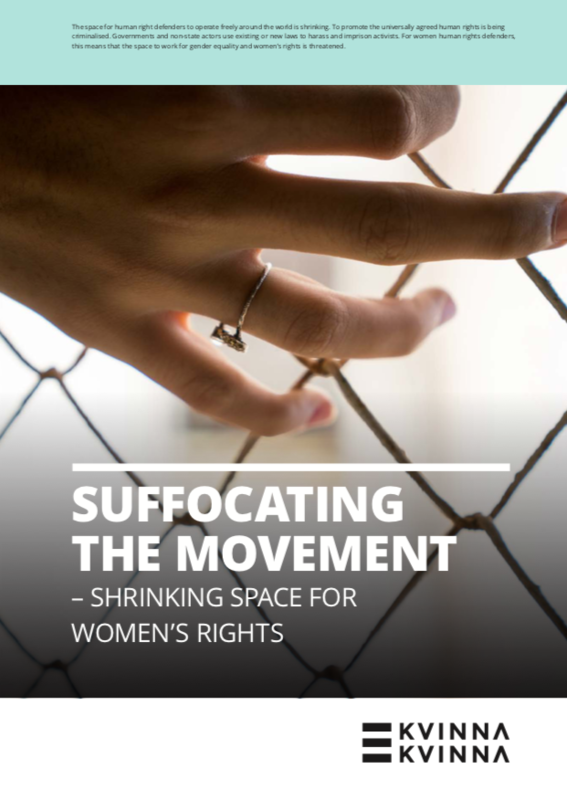 The report is based on a survey of 123 women’s rights activists from 32 countries in the MENA region, Africa, Europe and the South Caucasus. It also includes excerpts from in-depth interview with women’s rights activists from eight different countries. Download the full report in English, or read the Swedish summary “Så tystas en kvinnorörelse”.